It’s a rare “blue sky” day in Beijing. The city is bathed in a beautiful late-afternoon light—the kind that makes people rush outside just to enjoy it. But rather than bask in the weather, a small group of expats and Chinese locals have instead chosen to hole themselves up in a café. Nearly 3 million air filters were sold in 2012, an increase of roughly 50 percent on the previous year. And following January’s “airpocalypse”—a particularly nasty stretch of gray skies—demand skyrocketed even further, with the electronics giant Suning reporting that sales of filters rose 170 percent in the first four months of this year from the same period last year. 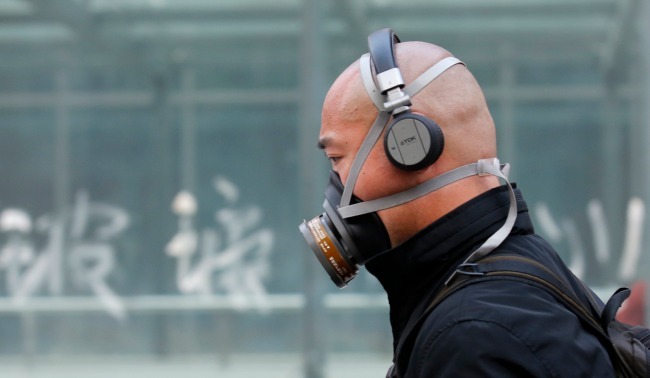 The rush to capitalize on China’s dirty air isn’t limited to large retailers. Small start-ups such as O2ganic promise to “clean air, naturally,” with plant packages that come in a variety of themes, such as “Mediterranean” and “Near and Dear.” Thousands more air-filtering plants are hawked by hundreds of small shops on Taobao (China’s version of eBay), with vendors highlighting exactly how many milligrams of indoor pollutants their green specimens can eliminate.